I love this picture of a teenage Carine Roitfeld. When I talk about straight hair being back for aw10, it’s this kind of Ali McGraw vibe that I’m really talking about. Catwalk straight hair is all well and good, but nigh-on-impossible to recreate day to day, and also tough to carry off. Slightly worn in, bit of movement, naturally styled… That’s the kind of straight I’m aiming for. Somehow I think getting Carine levels of cool might be a bit more of a challenge. 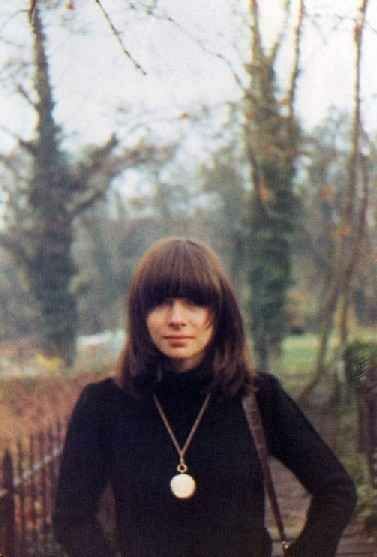 PS Couldn’t not add this picture of a young Anna Wintour. Good to see she’s always had a thing for for big fringes. I love the big medallion too, it’s exactly what I’m looking for at the moment.